I was listening to PAPA‘s 2013 album Tender Madness this morning when I got word of a new track from the band. 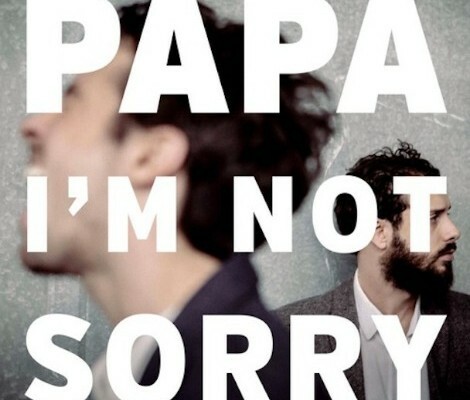 “I’m Not Sorry” is a B-side to the album, previously unreleased. Have you heard the record yet? Stereogum has an album stream. Have you heard the latest from LA band PAPA? “If the Moon Rises” displays PAPA’s characteristic blend of urgent, pointed words and a subtle musical attack driven by stately pianos, strings and insistent guitar strum. The song is, in lead singer Darren Weiss’s words, “a call for young people to get away from the b.s. and seek something more meaningful”. The song comes from the release of “Tender Madness“, the bands’ debut album out next week, which you can stream over at Stereogum.